Ylang-Ylang essential oils exhibit properties as a sedative, nervine, hypotensive, aphrodisiac, antiseptic, antiseborrheic, and antidepressant. They have a thin consistency with a floral, exotic, and sweet aroma. Something of a late bloomer, these essential oils are now becoming extremely well-known among aroma therapists and cosmetic manufacturers. The tree from which they are derived is found in the rain forests of Polynesia, Comoro, Sumatra, Java, the Philippines, Indonesia, and other South Pacific and Asian islands. The amazing aroma exhibited by these essential oils is sought after throughout the world. 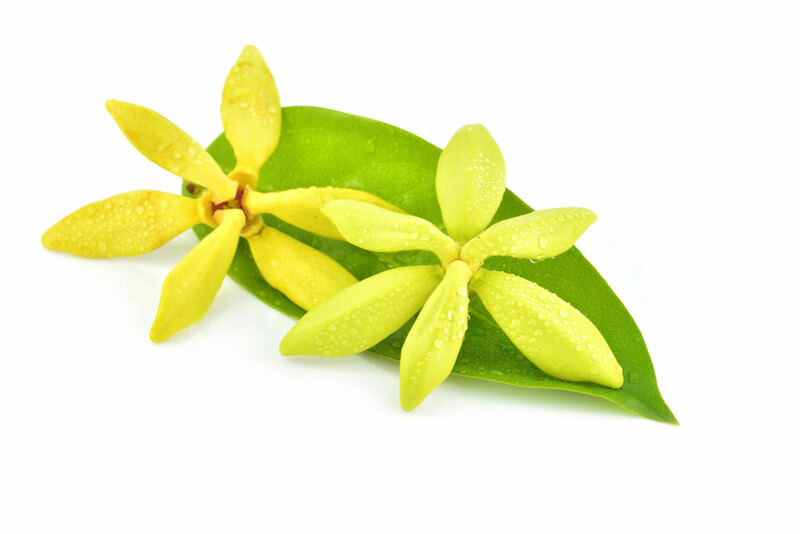 Cosmetics, in particular, are enjoying great amounts of success through the use of ylang-ylang as a fragrant ingredient. In therapy, these essential oils are used to drive away chronic stress, sadness, and anxiety and promote relaxation and feelings of hope and joy. They have been particularly useful in treating individuals suffering from shock or depression following an accident. These essential oils blend well with sandalwood, lavender, grapefruits, bergamot, rosewood, neroli, lavender, and more. For the most part, these essential oils are safe, but in certain individuals, headache, nausea, and some sensitivity have been experienced with its usage. As with the use of any essential oil, pregnant women should seek the advice of their physician before using them.